In February 2012, LaVerne Stiles went to Citrus Memorial Hospital near her home in central Florida for what should have been a routine surgery. The bubbly retired secretary had been in a minor car accident weeks earlier. She didn’t worry much about her sore neck until a scan detected a broken bone. The operation she needed, a spinal fusion, is done tens of thousands of times a year without incident. Stiles, 71, had a choice of three specially trained surgeons at Citrus Memorial, which was rated among the top 100 nationally for spinal procedures. She had no way of knowing how much was riding on her decision. The doctor she chose, Constantine Toumbis, had one of the highest rates of complications in the country for spinal fusions. The other two doctors had rates among the lowest for postoperative problems like infections and internal bleeding. It’s conventional wisdom that there are “good” and “bad” hospitals — and that selecting a good one can protect patients from the kinds of medical errors that injure or kill hundreds of thousands of Americans each year. But a ProPublica analysis of Medicare data found that, when it comes to elective operations, it is much more important to pick the right surgeon. Today, we are making public the complication rates of nearly 17,000 surgeons nationwide. Patients will be able to weigh surgeons’ past performance as they make what can be a life-and-death decision. Doctors themselves can see where they stand relative to their peers. The numbers show that the stark differences that Stiles confronted at Citrus Memorial are commonplace across America. Yet many hospitals don’t track the complication rates of individual surgeons and use that data to force improvements. And neither does the government. A small share of doctors, 11 per cent, accounted for about 25 per cent of the complications. Hundreds of surgeons across the country had rates double and triple the national average. Every day, surgeons with the highest complication rates in our analysis are performing operations in hospitals nationwide. Subpar performers work even at academic medical centers considered among the nation’s best. A surgeon with one of the nation’s highest complication rates for prostate removals in our analysis operates at Baltimore’s Johns Hopkins Hospital, a national powerhouse known for its research on patient safety. He alone had more complications than all 10 of his colleagues combined — though they performed nine times as many of the same procedures. By contrast, some of the nation’s best results for knee replacements were turned in by a surgeon at a small-town clinic in Alabama who insists on personally handling even the most menial aspects of each patient’s surgery and follow-up care. ProPublica compared the performance of surgeons by examining five years of Medicare records for eight common elective procedures, including knee and hip replacements, spinal fusions and prostate removals. To be fair to surgeons, ProPublica’s analysis accounted for factors such as patients’ health and age. We focused only on elective cases because they typically involve healthier patients with the best odds of a smooth recovery. As would be expected, overall complication rates were relatively low, ranging from 2 per cent to 4 per cent, depending on the type of surgery. But experts who reviewed ProPublica’s results say they strongly suggest that the typical surgeon’s rate can and should be significantly lower. The evidence: Some 756 surgeons who each did at least 50 operations did not record a single complication in the five years covered by the analysis. Another 1,423 had only one. The issue of patient safety has been at the forefront of American health care since 1999, when the Institute of Medicine released “To Err Is Human,” a landmark report on the startling frequency of medical errors. But since then, medical errors haven’t abated — recent studies estimate that at least 200,000 patients a year die in hospitals from preventable errors and complications related to their care, which would make patient harm the nation’s third-leading cause of death. Some say one answer is allowing patients to see surgeons’ track records. “It’s long overdue,” said Dr Charles Mick, former president of the North American Spine Society, who reviewed ProPublica’s findings. Many systems are supposed to protect patients from high-risk doctors. But ProPublica’s reporting shows that they often fail to identify problem performers. The Centers for Medicare and Medicaid Services collects reams of data from hospitals and publishes hospital-wide quality measures. It recently started reporting some data on physician groups that voluntarily provide the information. The agency has plans to eventually publish quality data for individual doctors but it hasn’t done so. The data for Toumbis, Stiles’ surgeon, shows that his Medicare patients suffered complications again and again between 2009 and 2013. Some 44 were readmitted to Citrus and another local hospital in the days and weeks after he operated on them, an average of nearly one per month. Stiles was released the day after Toumbis operated on her neck. Minutes after arriving home, however, she collapsed. She died before the ambulance completed the short trip back to Citrus Memorial. Toumbis had written in her medical records that the operation went well — no complications and no bleeding. But an autopsy by the local medical examiner found bone fragments, as well as almost two cups of pooled blood from an “extensive hemorrhage” in Stiles’ neck. Toumbis declined several requests for comment and did not respond to a detailed list of questions. Katie Myers, a spokeswoman for Citrus Memorial, said the hospital would have no comment on Toumbis. The contemporary patient-safety movement has focused almost exclusively on systemic causes and solutions for medical errors, taking care not to point fingers at individuals. This approach has given birth to an array of initiatives to reduce patient harm, virtually all of them aimed at hospitals or teams working inside them. They include using safety checklists for basic procedures, handwashing campaigns and urging medical team members to speak up when they see problems. Few would dispute the value of these steps. But Medicare and accreditation organizations haven’t required hospitals to comprehensively track patient death rates and complication rates by doctor. Beyond meeting some minimum standards, hospitals are free to decide how much of this information to collect. As a result, most hospitals’ monitoring of surgeons is “rudimentary,” said Dr. Ana Pujols McKee, chief medical officer of The Joint Commission, the nation’s largest hospital accrediting organization. Some experts say it’s time to put more emphasis on the role of individual practitioners. ProPublica analyzed 2.3 million hip and knee replacements, spinal fusions, gallbladder removals, prostate resections and prostate removals done between 2009 and 2013 on patients in Medicare, the most comprehensive source of national hospital data publicly available. Medicare pays for two out of every five US hospital stays, and researchers routinely use the program’s data to study the health care system. Because there are many ways to define a surgical complication, we consulted with two dozen physicians to identify those that are directly related to each of the operations. These include infections, blood clots, misaligned orthopedic devices and uncontrolled bleeding. We then counted only cases in which the patient died in the hospital or had a complication requiring readmission within 30 days. 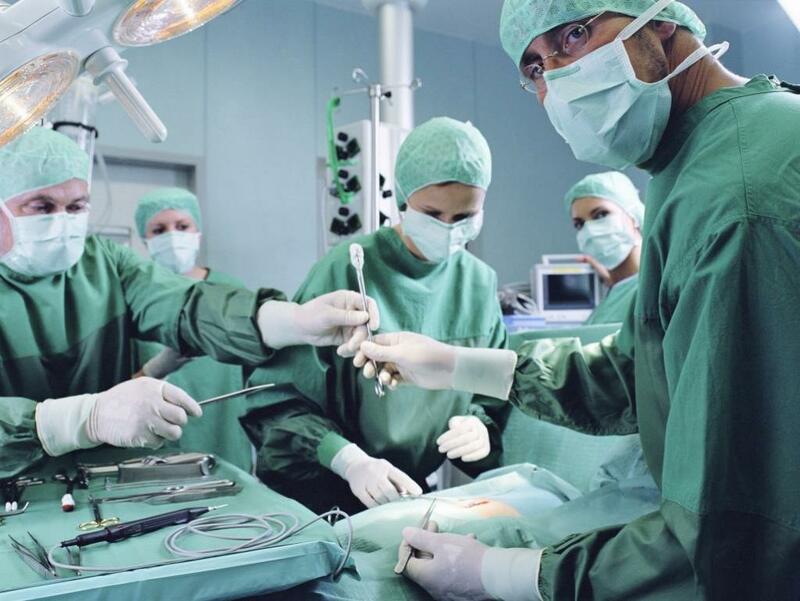 The American College of Surgeons has said surgeons are responsible for all aspects of their patients’ care, from preoperative examinations to complications that can arise after the operation. Dozens of surgeons and patient safety experts interviewed by ProPublica agreed that surgeons can reasonably be held responsible for complications even if they are not directly at fault. ProPublica’s analysis has some limitations. Patients covered by private insurance were not included, which in some instances omits a substantial portion of a surgeon’s practice. And our definition of complications does not cover other types of patient harm, such as diagnostic errors or readmissions more than 30 days after an operation. Still, the five years of data document a costly human toll. About 63,000 Medicare patients suffered serious harm, and 3,405 died after going in for procedures widely seen as straightforward and low risk. Taxpayers paid hospitals $645 million for the readmissions alone. George Lynch nearly died from complications after a 2013 knee replacement. Lynch opted for a surgeon at New York Methodist Hospital near his home in Brooklyn. He couldn’t have known what ProPublica’s analysis shows: The surgeon, Dr. Henry Tischler, had one of the highest complication rates on knee replacements in New York State. Lynch contracted multiple postsurgical infections and went into septic shock. He says his family, told he might not survive, came to the hospital to say their final goodbyes. Lynch eventually recovered, but he now needs another knee replacement. This time, he’s peppering his doctors with questions and said performance data will help guide his choice of a surgeon and a hospital. Few hospitals in America are more highly regarded than Johns Hopkins, which U.S. News & World Report ranked No. 1 in the nation 21 times in a row between 1991 and 2011. Hopkins is also home to the Armstrong Institute for Patient Safety and Quality, led by Dr. Peter Pronovost, among the best-known and most influential voices in the patient-safety movement. So it was surprising to discover that, according to ProPublica’s analysis, a surgeon with an unusually high complication rate for prostate removals practices at Johns Hopkins. Dr Misop Han, an associate professor of urology and oncology at the Johns Hopkins Hospital, did prostate removals on 86 Medicare patients in ProPublica’s analysis between 2009 and 2013. A dozen of them had complications, our analysis showed. Adjusting for his patient mix and other factors, Han’s complication rate was 7.6 per cent. That was more than double the national average for prostate removals in Medicare and three times higher than the average for other surgeons at Hopkins, who had excellent results overall. Three of Han’s colleagues had complication rates low enough to rank in the best 5 per cent nationwide, ProPublica found. In interviews and emailed statements, officials at Johns Hopkins insisted that by their measures Han’s outcomes were “acceptable” and “do not differ significantly from his peers” at the hospital. “His numbers are all within the expected limits,” said Dr. Redonda Miller, the hospital’s vice president of medical affairs. The hospital said it tracks surgeons’ performance using a variety of methods, including readmissions to Hopkins for any reason, even those unrelated to surgical procedures. Hospital officials said a review of Han’s prostate removal procedures between 2009 and 2013 showed his readmission rate for all patients — Medicare and non-Medicare — was 4.7 per cent. According to Hopkins, Han’s readmissions peaked in 2010, when he had 10 in 93 cases, a rate of 10.8 per cent. Hospital officials did not specify his readmission rates for the years that followed, but indicated they had dropped. By these measures, however, Han’s performance still appears below average. Nationally, typical readmission rates for the type of surgery Han most often performed on Medicare patients are about 3.6 per cent, according to two recent studies. But compared to other surgeons in Medicare, Han performed enough operations resulting in complications to conclude with 95 per cent certainty that he was an outlier, ProPublica found. Hopkins officials acknowledged their overall readmission rate for Han reflected readmissions only to Johns Hopkins. But there were additional instances in which Han’s patients were readmitted to other hospitals — cases that Hopkins would not have counted. ProPublica can’t say how many because Medicare patient-privacy rules bar reporting any count of patients between zero and 11. More recently, though, he blasted our findings. “It would be highly irresponsible to present this to the public in its current form, or to make an example of any surgeon based on faulty data analysis,” he wrote in an email last week. He criticized our use of hospital readmissions to identify instances when patients had suffered complications after surgery. “A readmission is not necessarily indicative of a complication, let alone a serious one,” he said. The panel of doctors that helped design ProPublica’s methodology agreed on this point — which is why we only counted readmissions that these experts said were likely related to surgical complications. Pronovost also said our analysis failed to recognize that some doctors are just more likely to readmit patients as a precautionary measure, even when there isn’t a serious complication. But that doesn’t seem to explain the Medicare readmissions data for Han, the majority of whose patients typically stayed at least four days and had specific diagnoses of postsurgical complications. Medicare pays for patients to return briefly to the hospital under so-called observation status, but our analysis didn’t count these in tabulating complication rates. Harvard School of Public Health professor Dr. Thomas Lee, who specializes in how to measure patient outcomes, was one of more than a dozen experts who evaluated ProPublica’s work. The differences between surgeons revealed by the analysis are sound — and important, he said. The proliferation of health care rankings by government agencies and a growing list of private organizations have fed the notion that patients can reliably decide where to get their care by choosing the institution or specialty first. Yet Hopkins was one of many top-ranked hospitals where ProPublica found surgeons with problematic track records. The orthopedic department of St. Joseph Hospital in Orange County, Calif., has been rated one of the top 50 in the country by U.S. News & World Report. Yet one of the surgeons, Dr. Gregory Carlson, had one of the highest complication rates for spinal fusions in the country, ProPublica found. He said his results could reflect errors in the data submitted to Medicare. There is a “multitude of inaccurate and confusing information that is provided to state and federal organizations,” he said in an email. The hospital’s chief executive, Steve Moreau, said St. Joseph rigorously tracks and compares the work of individual surgeons, and that it has led to lower complication rates in spinal procedures. Rank and title do not guarantee results, ProPublica’s analysis shows. At Chicago’s Weiss Memorial Hospital, the facility’s chairman of surgery, who is also the medical director of its center for orthopedics, had among the nation’s highest complication rates for knee replacement operations. Two dozen of the 219 Medicare patients he operated on between 2009 and 2013 subsequently exhibited complications. In a statement, the hospital acknowledged it was aware of the complication rate compiled by the chairman, Dr. Henry Finn, “which reflects the complex cases Dr. Finn performs.” Finn added that he’s quick to readmit patients so that minor complications do not become more serious. He said he was not surprised by the data. Helen Keller Memorial is a community hospital that serves The Shoals, a northwest Alabama region best known for swamp rock and rhythm and blues — not the quality of its health care. On an early morning in May, Dr. Aaron Joiner and Dr. John Young stood in one of Helen Keller’s operating rooms, flanking the left leg of a woman whose worn knee joint they were replacing. Over the next 46 minutes, they worked quickly, barely speaking. Young cut off part of the femur, and Joiner cauterized a vein to minimize bleeding. Their efficient teamwork helped to minimize the time the incision was open and vulnerable to infection. Joiner closed the wound as Young left the room to dictate notes for the medical record. Joiner has compiled some of the lowest complication rates in ProPublica’s analysis — he performed 282 knee and hip replacements on Medicare patients with zero complications over five years. His excellence is testament to a larger truth: Many surgical injuries are avoidable. Even as the medical community has worked to reduce patient harm, it has remained common for surgeons and hospital officials to see a certain number of complications as inevitable. Just random bad luck, like a lightning strike. “We tend to shrug our shoulders and say this is just a natural part of doing health care,” said Dr. Ashish Jha, a patient safety researcher and professor at the Harvard School of Public Health who provided advice for ProPublica’s analysis. If a certain procedure has a 5 per cent infection rate, doctors and hospitals consider it acceptable as long as they’re at that or below, Jha said. Yet if complications are like lightning bolts, they tend to keep hitting the same surgeons, while missing others. Hundreds of doctors compiled records that were spotless. Dr. James Porter of Seattle performed 173 prostate removals without a single complication. Dr. David Black, at Freeman Hospital West in Joplin, Missouri, replaced 171 hips with no complications. In Leawood, Kansas, Dr. Thomas Rasmussen did 348 knee replacements with no complications. Some in the medical community worry that pushing doctors to lower their complication rates will prompt them to cherry pick healthy patients and turn away cases that could hurt their numbers. Joiner and his partners at the North Alabama Bone & Joint Clinic operate far from America’s health care hubs, without many of the niceties that abound at name-brand academic medical centers. The Shoals region, along the Tennessee River near the border of Mississippi, is not wealthy. Public health statistics show it has a higher than normal percentage of unhealthy people. About a third of the population in the surrounding counties is obese, and about a third smokes. “We take all comers,” Joiner said. The clinic’s surgeons attribute their results, in part, to conducting more than half their procedures in pairs. They sacrifice volume and get paid little or nothing extra to have two surgeons work on a single patient. Each surgeon provides the other with backup — what amounts to real-time peer review. Joiner said the clinic’s outcomes also reflect a culture in which the work doesn’t end in the operating room. In many other practices, it’s typical for surgeons to have physician assistants or nurse practitioners follow up with patients after surgery. Joiner and his colleagues do almost all the follow-up care themselves, personally checking with patients to make sure they know what to do and how to recognize signs of postoperative problems. Historically, this approach hasn’t always been rewarded by the medical payment system. In fact, when patients ended up back at the hospital because of surgical injuries or infections, it was effectively a bonus, generating more billings on top of those for the original procedure. In recent years, Medicare and some private insurers have introduced initiatives that try to upend these incentives. For example, Medicare can dock payments to hospitals if patients who have elective hip and knee replacements are readmitted at especially high rates, or if medical facilities rank among the bottom 25 per cent for certain hospital-acquired infections and injuries. Supporters say these changes, while incremental, have spurred hospitals to focus on reducing certain poor outcomes as never before. It’s not yet clear, though, if they will prod doctors to alter their practices, too. Dr Paul Dworak said he’s too fed up to stick around and find out. Between 2009 and 2013, ProPublica’s analysis shows, the Edina, Minn., surgeon performed 277 knee replacements on Medicare patients with no complications. He also did 165 hip replacements with one of the lowest complication rates in the nation. Dworak credited his results partly to spending more time on each patient during surgery, prepping them, making sure their implants were placed properly and closing their incisions himself rather than delegating this to an assistant. After operating, Dworak said he kept patients on medication to prevent blood clots longer than other specialists, even though this meant keeping close tabs on their lab results. But this cost Dworak. He didn’t get paid for the extra time he invested, and he couldn’t schedule as many operations. Dworak said such frustrations, coupled with reduced Medicare payments and the stress of meeting his patient safety standards, have prompted him to wind down his surgery practice. Three years before LaVerne Stiles chose Dr Constantine Toumbis to do her ill-fated spinal fusion surgery, a remarkably similar series of events played out at Citrus Memorial Hospital. George Bogner, a 43-year-old truck driver, came to Toumbis after worsening neck pain made it impossible to work. Hours after Toumbis performed Bogner’s spinal fusion in June 2009, Bogner began to thrash in his hospital bed, gasping for air. Inside his neck, more than a quart of blood had pooled, squeezing off his windpipe. He was pronounced dead that night. A private autopsy arranged by Bogner’s family concluded he had died of surgical complications, but Bogner’s death certificate — signed by Toumbis himself — listed the cause as “natural” and mentioned nothing about internal bleeding. It was the kind of case that should have triggered action from multiple systems designed to monitor doctors’ practices, both inside the hospital and beyond its doors. Like all hospitals, Citrus Memorial has a peer review panel made up of doctors tasked with examining cases where the care came under question or drew complaints or lawsuits. Bogner’s case was referred to the committee, a standard practice when a patient died, according to a former hospital employee. The committee never investigated, even though Bogner’s estranged wife later sued Citrus Memorial and was paid a settlement. Toumbis was not named in the lawsuit. The gaps in Citrus Memorial’s safety net are common at hospitals across the country, experts say. Facilities routinely fail to identify the kind of outliers spotlighted by ProPublica’s analysis or to intervene when such doctors are flagged. Peer review panels, long the chief mechanism for physician accountability in hospitals, are a prime example. Such committees have an array of tools to help doctors improve, from sending them for more training to compelling that they be coached by colleagues. In egregious cases, peer review committees can recommend that hospitals suspend or withdraw a doctor’s privileges. Yet there’s evidence that hospitals are doing so less and less. Hospitals are required to report such sanctions to the National Practitioner Data Bank, a federal clearinghouse of doctor discipline used by health care employers. Reports dropped by more than 20 per cent between 2004 and 2013. A quarter of American hospitals — 890 facilities — have not reported a single disciplinary action in the past 25 years. Toumbis, 49, had privileges at another Florida hospital, Seven Rivers Regional Medical Center, as well as at Citrus Memorial. Toumbis performed 316 spinal procedures on Medicare patients at Seven Rivers between 2009 and 2013 and another 247 at Citrus, records show. ProPublica found 23 cases in which Toumbis patients suffered postoperative infections or injuries after operations at Seven Rivers and 21 who were readmitted after procedures at Citrus. That doesn’t include Bogner, not a Medicare patient, or Stiles, who died before she could be readmitted. Asked about Toumbis, officials at Seven Rivers said the hospital had a “steadfast commitment to quality care and improvement” and that many of the readmissions flagged by ProPublica involved patients who had prior back surgeries or complex medical histories. Officials said the hospital regularly reviews readmissions, but they declined to further discuss Toumbis’ cases. Colleagues at Citrus were aware that Toumbis had issues. ProPublica interviewed more than a dozen doctors, nurses, physical therapists and other hospital employees familiar with Toumbis’ work. All said it was known that his patients experienced a high rate of complications. There was also a troubling incident in his past. When Toumbis was in medical school, he stabbed a classmate in the neck after an altercation at a bar. He was convicted of assault, a felony, but was still able to get a medical license. Three people who sat on Citrus Memorial’s peer review committee for years said they couldn’t recall a single instance in which it did anything tougher than send doctors letters of inquiry. It’s not clear if the PIC looked closely at any of the cases identified by ProPublica in which patients that Toumbis operated on at Citrus Memorial suffered complications. In about 2010, a hospital official (not a doctor) presented the PIC with information showing that a number of Toumbis’ patients had suffered tears to the dura, the membrane that envelops the spinal cord, during fusion surgeries. Such tears can be serious and should not be common complications. The committee declined to analyze the cases further, deeming them unfortunate but acceptable side effects of the surgery, a former hospital official said. The PIC also didn’t substantively investigate Stiles’ death from postsurgical bleeding in 2012, two former hospital officials said. Peer review is often undermined by the personal and financial ties that bind doctors together, according to experts and a 2008 study. Toumbis was among the most powerful physicians at Citrus Memorial. He served last year as the chief of staff and, in November, was named to the hospital’s board of trustees. He also rings the cash register: Between 2009 and 2013, Medicare paid the hospital $9 million for cases in which he is listed as the operating physician. Even when hospitals identify problems with doctors’ competency or practices, they can face formidable hurdles in imposing discipline. Doctors have extensive due process rights that can mire even clear-cut cases in layers of mandatory notifications, hearings and appeals. In early 2013, it looked as if Toumbis’ pattern of problems might finally draw serious scrutiny. Prompted by reports that his patients were suffering high complication rates, Citrus administrators initiated a review of cases handled by Toumbis and two colleagues who also did spinal fusions. According to a former hospital official, they found that Toumbis had a higher complication rate than his peers but concluded that his results were acceptable when compared with what little national data was available. No action was taken. The hospital declined to respond to questions about the review or its outcome. Today, Toumbis remains a busy member of Citrus Memorial’s staff — in fact, he’s now the hospital’s only spinal surgeon. In a January report called “Shining a Light,” the National Patient Safety Foundation defined four levels of transparency in health care: between clinicians and patients; between clinicians within an organization; between multiple health care organizations; and between providers and the public. The report endorsed all four, calling transparency the most effective, inexpensive and underutilized tool for improving the quality of care. In the few instances where such an approach has been tried, there’s powerful evidence that it works. After New York started publishing individual surgeons’ mortality rates for heart bypass procedures, the state’s overall mortality rates for bypass surgery dropped dramatically, studies showed. Some surgeons with poor results stopped operating or left New York. Hospitals upgraded their protocols to ensure best practices. Yet overall, the U.S. health care system still provides little transparency about the varying performance of doctors. In part, this is because doctors have resisted it. In 1979, the American Medical Association sued to bar the disclosure of how much individual physicians were paid by Medicare. The group won a court ruling that stood until 2013 and made it virtually impossible to publish doctor-specific data. Even now, the government mostly leaves it to others to provide the public with quality-of-care data about doctors. CMS’ Physician Compare website, which is supposed to help patients choose providers, gives information on doctors’ specialties, location and gender — but nothing on how their patients fare. A few hospitals have introduced programs that suggest the transforming effect greater transparency could have were it embraced more broadly. On a wintry day in January, officials at Beaumont Hospital, Royal Oak, outside Detroit, convened a predawn meeting of the surgeons, residents, nurses and physician assistants who make up the orthopedics staff. Beaumont comprehensively tracks complication rates and other quality measures by doctor. Surgeons in the orthopedic department had grown accustomed to receiving their own results and anonymized data for their colleagues. But at this gathering, department leaders unveiled each surgeon’s performance metrics for the previous year on a giant screen at the front of the room. Dr Lige Kaplan, one of the surgeons, compared it to being at school and having your report card shared with all your classmates. There was undeniable power in putting the information out there, where everyone could see it. Several factors led Beaumont, which has more than 1,000 beds and is well known for orthopedics, to start tracking and sharing doctor-specific data. The hospital had hired Dr. Samuel Flanders to be the health system’s chief quality and safety officer. Flanders considered tracking doctors’ results one component of a systemic, data-driven quality improvement program. Hospital leaders saw Medicare had begun introducing payment incentives and penalties to reduce patient harm and knew this would continue. Also, the hospital became part of a Blue Cross Blue Shield of Michigan initiative that pays facilities to compile and share surgical quality data. Mainly, though, the orthopedics department’s results were not as good as the hospital wanted them to be. ProPublica’s analysis shows that some surgeons at Beaumont had high complication rates for the procedures we examined in Medicare. Beaumont declined to supply its internal quality data, but said its numbers paralleled ProPublica’s. Once Beaumont’s orthopedics department started tracking data by doctor, certain statistics jumped out immediately. For example, too many patients were receiving blood transfusions. This can put patients at higher risk for complications. Tracking data also showed that some of Beaumont’s orthopedic surgeons had unusually high infection rates. Guidelines say patients getting knee replacements should receive antibiotics an hour or two before surgery to fend off such complications. Beaumont found that surgeons were ordering antibiotics haphazardly, some so late that patients still hadn’t received the drugs when they were about to be wheeled into the operating room. The hospital changed its practices to fix these issues and more, using the data as a road map. Collectively, the changes brought about a dramatic improvement in surgeons’ results, hospital officials said. Indeed, ProPublica’s data shows that between 2010 and 2013, the hospital cut its complication rate on knee replacements in half. The meeting in January tapped into doctors’ competitive side. Kaplan, one of the better-performing surgeons at Beaumont in ProPublica’s analysis, said two colleagues approached him afterward to ask how they could improve their transfusion rates. Beaumont’s orthopedics department has continued to meet quarterly, putting each surgeon’s stats up on the big screen. At the April meeting, the group was eager to see whether there had been improvements, said Dr. Jeffrey Fischgrund, the department’s chairman and a spine surgeon. Sure enough, the group found out there had been a drastic reduction in transfusion rates compared with the previous three months. “You can influence physician behavior through the open discussion of data,” Fischgrund said. Despite these gains, some of Beaumont’s surgeons said they remain opposed to making individual performance data public. Verner said patients might blame surgeons for complications that weren’t their fault and surgeons might avoid higher-risk cases that could damage their complication rates. Some patient safety advocates say it’s not enough for hospitals to share doctors’ track records internally yet withhold this information from patients. “If you leave it up to altruism of hospitals, you end up with what we have now — just a few that use meaningful data to improve quality,” said Dr. Marty Makary, a surgeon and professor at the Johns Hopkins University School of Medicine. “Broader transparency, if done fairly and accurately, can drive this improvement with greater force.